What are CPO Mercedes-Benz Models? What would you say if we told you that there was a way to buy a pre-owned Mercedes-Benz model, in guaranteed pristine condition, and under warranty? CPO stands for Certified Pre-Owned, and is the designation given to pre-owned Mercedes-Benz models that have met several strict conditions for quality and usage. If the sedan, coupe, or crossover meets every condition, it earns its certification, along with several additional benefits not included with an ordinary pre-owned sale. And if you are not satisfied with your CPO Mercedes-Benz, you can return our Northbrook, IL area dealership to exchange it for another Certified Pre-Owned model of the same value within seven days or 500 miles, whichever occurs first. 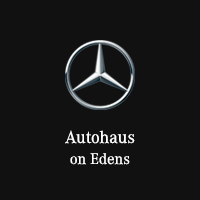 Why should Mercedes-Benz drivers make Autohaus on Edens their dealer of choice? We pride ourselves on our dedication to world-class customer service. We offer an extensive inventory of Mercedes-Benz CPO sedans, coupes, and SUVs, which our customers can browse from the comfort of our state-of-the-art indoor showroom in Northbrook, IL. Simply speak to one of our expert Mercedes-Benz Service Advisors to have all your questions answered. Reach out today to learn more about our Certified Pre-Owned collection by calling (847) 272-7900, or filling out our contact form.